Deborah Zajac is a Director at Touchdown Ventures where she leads healthcare investments. Touchdown Ventures has started and run the most corporate venture capital funds, including those of Kellogg’s, 20 th Century Fox film studios, Aramark, Allegion, and Tegna. Touchdown currently invests in media, food and beverage, retail and consumer, healthcare, industrial IoT and manufacturing, and enterprise SaaS. 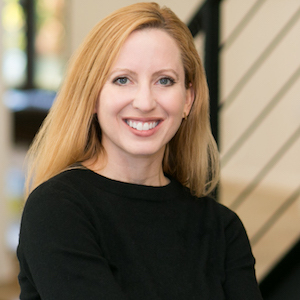 Prior to joining Touchdown, Deborah spent at decade at GE Ventures and GE Corporate investing in and building businesses from seed to growth stage, and reinventing businesses through corporate innovation and development. Deborah has launched startups from GE and Columbia University’s research labs, and guided advanced technology out of the lab and into the market in other forms. Deborah’s first introduction to startups was at Celarix.com, where she learned the ups and downs through 2002. Deborah began her career in management consulting at Andersen, and while there and at GE both in corporate and the business units, she worked with businesses, governments, and non-governmental entities in 25 countries across sector and lifecycle. Deborah earned her MBA concentrating in Finance and Entrepreneurship from NYU Stern, and her BS and BA from Lehigh University, where she has served as Trustee and founding Advisor to the nationally-ranked Baker Institute for Entrepreneurship, Creativity and Innovation.